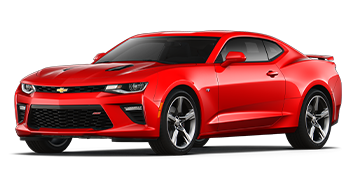 Snag a traditional two-door model or opt for a modern design, shop our coupe inventory if you're looking for a vehicle that ensures you stand out! Sedan vehicles are known for their driver-assistive features, fuel efficiency and comfort amenities, so end your search for new cars for sale and shop our sedan selections! Step up your driving game with a high-tech SUV. Our models offer the performance and off-roading specifications that you're looking for in a Sport Utility Vehicle! No matter what your towing and hauling needs may be, there's a truck that complements you here at our auto dealership. Shop our pickups online or on-site! If you're looking for a small town dealer with a big heart, turn to Miami Auto Supercenter in Miami, Oklahoma! While our new and used dealership specializes in Buick, Chevrolet and GMC models, we carry pre-owned options from a variety of brands to ensure all the needs of our Tulsa neighbors are being met. 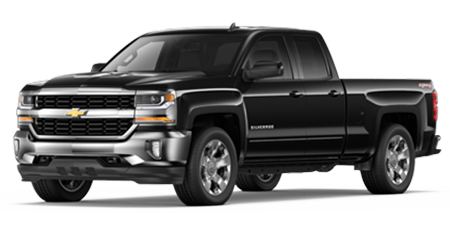 We cater to all types of car shoppers as well, so don't hesitate to visit us if you're looking for a Chevy Silverado 1500 truck that can keep up with your off-roading adventures, a family-friendly used Buick Encore or if you're a first-time car buyer; we're here to help. Our professional sales department will listen to your on-road needs while our dedicated auto loan experts start negotiating competitive financing terms if you're interested in hearing more about the options that are available to you. Our new and used car dealership near Joplin, MO not only sells intuitively designed vehicles but we maintain them as well! Here at Miami Auto Supercenter, we have both a service center and a parts department to assist with your vehicle maintenance needs. Learn more about our family owned and operated dealership right here on our website or simply drop by for the hassle-free, enjoyable automotive trade-in, purchase, service or genuine car part purchasing process that you deserve! 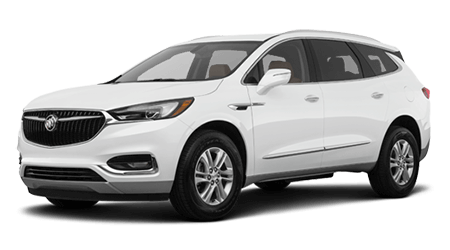 With competitively priced options from the Buick, Chevrolet and GMC lineup, we have the new car for sale that you're looking for! Our Miami Auto Supercenter staff can introduce you to any warranties that come with your new car purchase, as well as the systems that come standard and those that can be added on. Drop by to test drive a GMC Sierra 1500 or Buick Regal and don't hesitate to ask our team members about how you can trade-in your current vehicle and drive home in one of our new cars! Here at the Miami Auto Supercenter, we carry rigorously inspected used cars for sale from a variety of vehicle brands so that our Fayetteville, AR neighbors can shop an array of quality options no matter what their budget may be. Use our interactive website to peruse our pre-owned models now and don't hesitate to contact us if you'd like to learn more about the inspection process our certified pre-owned cars for sale must pass. We'll tailor a used car shopping plan that fulfills all of your auto needs! Our new and used Buick, Chevrolet and GMC dealership is here to introduce you to the competitive vehicle financing options that you deserve. 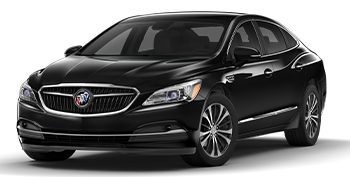 If you're interested in securing a loan for an upcoming Buick LaCrosse purchase, team up with our Miami Auto Supercenter professionals! Our loan experts can assist you no matter what your credit score may be, and thanks to our online credit application, those who have yet to establish credit, have pristine ratings or hold sub-prime credit scores, can apply for a loan online with ease! Let our certified technicians keep your vehicle healthy, drop by our car dealership's service center with your Chevrolet Tahoe today. Our staff can complete maintenance care on a variety of auto brands, so book an appointment with help from our online service scheduling form no matter what model drive. Our team will complete the work with genuine car parts and will be sure to introduce you to any applicable service specials. Protect the overall health, performance and efficiency of your ride, visit our new and used auto dealership in Miami, Oklahoma now! Miami Auto Supercenter is here to provide all motorists in the area with the original equipment manufacturer parts that they're looking for, so don't hesitate to visit us for all the genuine vehicle components that you need. Authentic car parts not only protect your car's warranty but its resale value and performance, so before beginning at-home repairs on your used car, shop our dealer's parts center. We made it easy to snag all the products you're looking for, as we've made a secure online part ordering form available online! Ever since our humble beginnings back in 1995, our new and used car dealership in Miami, OK has been working to streamline automotive processes for our customers. We invite all those near Tulsa, OK and Joplin, MO who have an auto need to put our interactive website to use! Motorists can value a trade-in, apply for financing, schedule a test drive, learn more about popular vehicle styles and can even get turn-by-turn directions for a future visit. Feel free to browse our site and contact our Miami Auto Supercenter with any questions!